Laurie R. King is the New York Times bestselling author of celebrated novels featuring the unique partnership between Mary Russell and the inimitable Sherlock Holmes. None other than Lee Child, himself no stranger to the bestseller list, has described King's beloved series as "the most sustained feat of imagination in mystery fiction today." 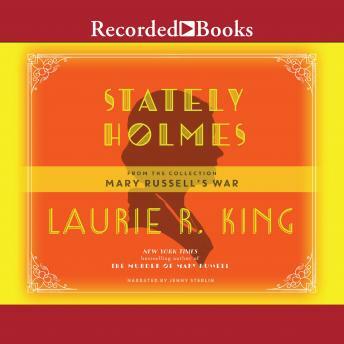 From the collection Mary Russell's War, the all-new tale "Stately Holmes" delivers the historical detail and narrative sleight of hand that King's many fans have come to expect-all while gifting readers with new insight into previously unexplored aspects of the beloved series.